Updated on Monday April 8th, 2019 – The TurboTax Free Military Offer is back again for 2019 for all qualifying military service members! TurboTax is once again offering the Deluxe edition of TurboTax for free for active military families and those in the Reserve or National Guard. That means that as long as you received a Military W-2, you or your spouse were in active military duty in 2018 and you were classified as an E-1, E-2, E-3, E-4, or E-5 (regardless of your income level), then you can take advantage of this deal. Not only is the Federal return free, but most State returns are included as well (but this will vary by the State that you live and file your taxes in). For military levels E-6 or higher, then your Federal tax return is discounted $5.00 or more (depends on the version you choose). Best of all, the Deluxe version covers military and civilian income, including combat pay, and you still receive the same maximum refund and accuracy guarantees as you do with the paid versions of TurboTax. How to get the TurboTax Military Discount? You can start filing your taxes with the TurboTax Deluxe directly at Intuit.com. Unlike the regular paid editions that can be ordered in box form where you install the software on your computer, this one is only available online (you’ll need to create an account or log-in to your existing one). A Military W-2 is required to verify discount and discount will be applied at the time of filing and you must be connected to the internet to begin filing your return. 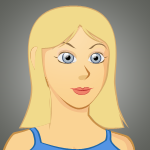 The same step-by-step instructions as found in the other versions will guide you through the process. What if I don’t qualify for the Freedom Edition? 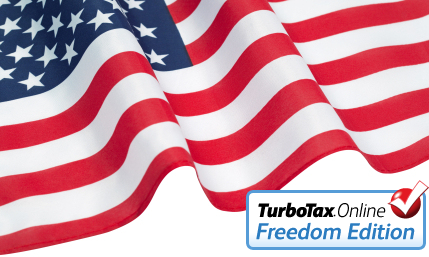 If you don’t meet the requirements to file your tax return for free with the Freedom Edition, then you still may qualify for the Federal Free edition from TurboTax regardless of your income level. Intuit offers a free edition for those individuals that have very simple tax returns to file and do not extra guidance for things like investment or rental income, business deductions, etc.. This is usually best option for students and those that do not own their homes. Just keep in mind that even though the federal filing is free, a State return may be required depending on where you live and will cost extra (usually between $19.99 and $39.99). Can I use the Military Discount if I used a different TurboTax version last year? Yes you can, as long as you did not already pay for and efile your 2018 tax returns with a different version of TurboTax. Learn more on how to switch here in the TurboTax help center. Is the Premier or Self-Employeed version free too? No, unfortunately the free offer is only for the online version of Deluxe this year. If you have investment income or run a small business on the side, or if you’re filing jointly with your spouse that does, then you’ll have to pay to file with any of the upgraded versions of TurboTax. However, they’ll still offer a small $5.00 discount if you buy it through their military page. There’s no coupon/service code needed as the discount will automatically be reflected in your order (you’ll see the discount on the order summary page before you pay for your TurboTax purchase). If you have any questions, comments or run into any issues, then let us know! We’ll do our best to help you out. Leave your thoughts and comments below.